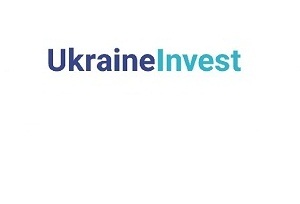 UKRAINEINVEST ISSUES THE BUSINESS WEEK, A FREE ON-LINE PUBLICATION CONTAINING A WEEKLY SUMMARY OF IMPORTANT BUSINESS NEWS IN UKRAINE, FOR 21 MAY, 2018. Ukraine-Germany bilateral trade reached $8.1 billion in 2017. Germany has become one of Ukraine’s largest trading partners and investors, First Vice Prime Minister and Economic Development and Trade Minister Stepan Kubiv said at an international conference on Ukrainian-German relations, Ukrinform reports. German investments amounted to $1.8 billion in 2017. Projects for production of components for German automotive industry take first place employing about 4,500 people in various regions,» Kubiv elaborated. Europe becomes Ukraine’s main trading partner. Exports of goods from Ukraine to European countries grew by 31% in 2017, to $14.4 billion, and their volumes exceeded the level of the pre-crisis year 2013, the analytical publication «Irregular Research» writes, as reported by the National Bank of Ukraine’s (NBU) press service. Europe’s share in exports reached 36%, and was the highest since 2004,» the report says. Beskydy tunnel through Carpathians to Zakarpatya opens end of May. Prime minister Volodymyr Groysman announced that that the 1700 meters long tunnel, one of the largest railway projects undertaken in Ukraine since independence, will soon be opened. He emphasized that the new railway link is an important logistical component of the country’s export routes to the EU. Ukroliya poised to export vegetable oil to USA. The Poltava region company has met the standards of the U.S. Department of Agriculture which opens up the possibility of supplying organic vegetable oil for the US market, Interfax Ukraine reports. The company has already satisfied the requirements of the European Union and BioSuisse. Ukroliya, based in Dykanka and Zenkiv is engaged in the production and sale of packed and bulk sunflower oil, sunflower meal, and husk. Cherkasy region flour company eyes African market. Ukrainian Flour Company LLC plans to open four representative offices in the Central African Republic, Chad, Cameroon and Benin, the company’s press service has reported. Pilot shipments of products totaling 400 containers, or 10,000 tonnes, have already been sent to these countries. The Ukrainian Flour Company was established in 2017. It produces goods under the trademark Korolivske Boroshno and exports flour to China, Moldova, Israel, Palestine, the Philippines, Angola, Georgia, the United Arab Emirates, Malaysia, and other countries. 31% rise in imports of passenger cars in Q1, y-o-y, reaching 51,200 units. The value was estimated at $665.7 million, the Ukrautoprom Association’s press service said. Germany remained the main source, accounting for 8,120 cars worth $81.3 million. The U.S. was second - 4,843 cars, worth $58.5 million; Japan ranked third with 3,891 cars ($67.6 million), and France fourth with 3,838 cars ($17.3 million). Mexico shipped 2,533 passenger cars to Ukraine, with a total customs value of $19.7 million, and became supplier number five. Ryanair discusses new routes with 5 other Ukrainian airports. Irish low-cost airline Ryanair is holding talks with five Ukrainian cities about opening new flights, its CEO Michael O’Leary said in an interview with the Ukrainian Travel Gazette, Ukrinform reports. According to O’Leary, due to low airline prices resulting from the appearance of Ryanair in Ukraine, passengers will save about 100 million euros on travel, and the opening of flights would create up to 600 new jobs in local affiliated enterprises, including 410 in Kyiv and 190 in Lviv. Ukrainian airlines records increase in volume of passengers. In January-April 2018, passenger traffic grew by 15.4% y-o-y, the State Aviation Service reports. It amounted to 2.989 million people. International passenger traffic increased by 14.9% and amounted to 2.671 million people.» Passenger traffic through the country’s airports rose by 23.7% and amounted to 5.122 million people, in particular on international routes, where it grew by 24.5% and amounted to 4.479 million passengers. During the first quarter of 2018, January-April 2018 Ukrainian airlines carried out 26,900 commercial flights (an increase of 6.5% compared y-o-y), in particular 22,100 international flights (an increase of 4.2%). The National Bank of Ukraine (NBU) sticks to 2018 inflation forecast at 8.9%. Last October its forecast for 2018 was from 6% to 7.3% and in January 2018 up to 8.9%, while the Cabinet of Ministers, from 7% to 9%. Government committed to cooperation with the IMF. Asked about the possibility of a default, Minister of the Cabinet of Ministers Olexandr Saienko told Obozrevatel that the government is not contemplating this possibility but remains determined to continue cooperation with the IMF. Ukraine’s cooperation with the IMF is an important signal for international partners of macro-stability in the country and its ability to fulfill its obligations, he said, according to the government portal. IMF mission examining state of market for asset management in Ukraine and the legislative and normative base regulating this segment. The technical assistance mission of the International Monetary Fund (IMF) began its work on 16 May, UNIAN reports. EU intends to invest more in specific development projects in Ukraine. Until now, the EU has channeled funds primarily to support reforms in Ukraine, but is embarking on a new stage of investment in people and infrastructure. According to the Head of the Support Group for Ukraine at the European Commission Peter Wagner, “About EUR 200 million has been allocated annually to Ukraine from the EU’s budget….As more reforms are moving forward, the need for their financing decreases, and now we are approaching a new stage of investment: investment in people and infrastructure,» Ukrinform reports. Swiss company offers to help Ukraine reform agricultural sector. The Head of Ukraine’s State Service for Food Safety and Consumer Protection Volodymyr Lapa and the leadership of Syngenta, a global agribusiness company headquartered in Basel, Switzerland, have discussed cooperation on bringing Ukrainian legislation into line with EU standards in seed production and plant protection, Ukrinform reports. Government simplifies conduct of business. The Cabinet of Ministers has endorsed initiatives developed by the Ministry of Economic Development and Trade in cooperation with the Better Regulation Delivery Office for this end. They include the introduction of a risk-oriented approach in the work of inspecting authorities, and a Concept on the Reform of the Institute of Self-Regulation, which permits the establishment of a unified state policy on self-regulation and provides the basis for a dialogue of stakeholders on normative regulation of self-regulatory processes, the government portal reports. Ukrainian prime minister warns Nord Stream-2 is dangerous. At their meeting, Groysman said that the Russian project was not a commercial scheme, but a geopolitical one designed to exert political pressure on Ukraine and Europe and to pose a direct threat to the Ukrainian state. «For Russia, this is a lucrative project that, in the long run, will ensure the dependence of the whole Europe on Russia,” he added. Ukraine will remain a reliable transit partner Groysman assures Germany. Ukraine has been and will remain a reliable transit partner and provide 100% gas delivery to European consumers, the prime minister assured his German guest. “We are prepared to modernize and manage our gas transit system in synergy with international partners,» he added.